For small business owners looking to tap into the power of Facebook, figuring out how to market to the site’s 660 million global users can be a daunting challenge. Fortunately, the social network has felt the pain of those with little or no experience in online marketing. It’s put together a step-by-step guide, called Facebook for Business, to help them create and get the most out of what it calls its business pages. While the recently-unveiled initiative doesn’t contain any new Facebook features, it does provide an easy-to-follow way to let you start accessing the power of the social network. The starting point of the Facebook experience for businesses is similar to the one for consumers. If you already have a Facebook user account, the sign-up process for your new business page will be shorter. If you don’t, you’ll need to create an account, which allows you to serve as the administrator of your page. When you start the signup process, you’ll be asked to choose from one of six template categories. Don’t sweat this; there’s a lot of overlap between the categories, and creating one type will give you access to the same feature sets of the others. The elements of a Facebook page include a blurb describing your business and any rich-media content you want to add, including photos, videos and live web link. You’ll have the chance to post all these types of content onto your page’s Wall, so it will go into the News Feed of anyone who becomes a fan of your page. You can also add apps and other plug-ins to enhance the experience of your Page visitors. However, keep in mind that these third-party apps have been the source of much privacy controversy on Facebook, because many of them collect data on those who use them. Assume that some fans or visitors to your page will opt not to use the app, and thus not have the same user experience as those who do. 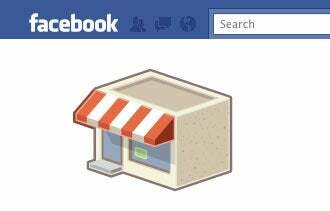 If you have a physical retail space where you do business with customers, you’ll want to provide your address during the sign-up process and enable the Facebook feature known as Places. This will allow those who use location-based services to “check in” to your location. Activating the Places feature will allow you to make real-time offers to customers who are inside or nearby your store. Facebook also has other features, such as text chat and video chat, which businesses can use to interact with customers on the site. Once you’ve created your page, you’ll be given several options for how to promote it, including inviting your existing friends to like it (using the Facebook “Like” button,) or importing your email contacts and asking them if they want to be fans of your page. This is where the use of Facebook for Businesses requires some thought on your part. Many Facebook users consider these types of solicitations to be annoying spam, and if you start bombarding your friends or other contacts with them, you risk turning them off. Also, if you already have regular communication with your customers, such as via an emailed newsletter, you need to decide whether you want to replace that effort, by using Facebook’s communication features instead, or use them to augment your existing efforts. One common sense approach would be to ask yourself how happy you are with your current Web presence. If you’re not, there’s little to lose in refocusing your efforts on Facebook. However, if your current Web page helps drive a lot of sales, perhaps it’s best to experiment on a small subset of your customers and see what the response is. One you’ve finished your page and decided how to promote it, you can start making it work for you. The power of Facebook lies in the rich amount of data it knows about its users, including those who visit your page. Using this data, you can target users with Facebook ads or use newer Facebook features, such as Sponsored Stories, which let other users know when someone Likes your page or posts content about it. As with ads, Sponsored Stories aren’t free. The complexity of Facebook Business Pages can be a blessing to those who want to reach more customers, but a curse to those intimidated over how to get started. Facebook’s new step-by-step guide should help many business start tapping into the power of the social network.